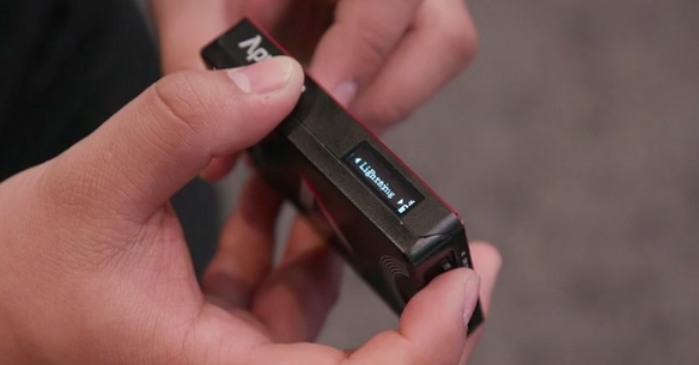 The AL-MC features a built-in 3.7V 2650mAh battery which Aputure claims can power the light at full power for up to 100 minutes. For charging it uses type C PD quick-charge technology. 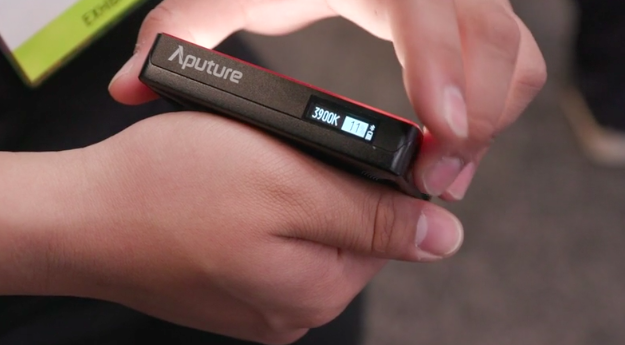 Aputure says that it takes around 75 minutes to fully charge the AL-MC. 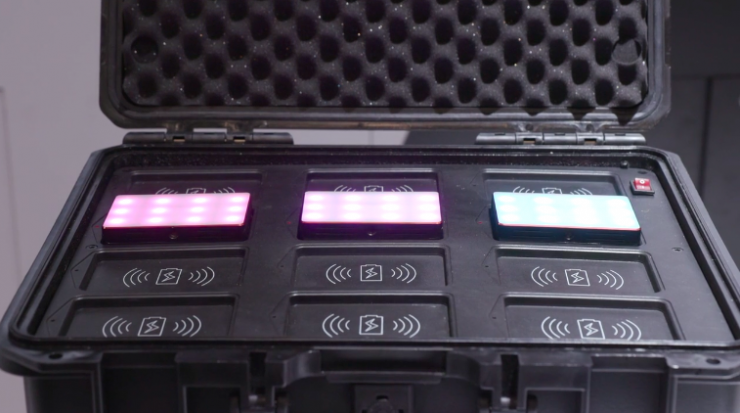 If you buy the kit that comes with 12 AL-MC fixtures you can wirelessly charge all of the lights in a case. The AL-MC is relatively lightweight and features a durable metal frame with built-in magnets on the back that enables users to mount the light on any metal surface. The AL-MC can be controlled remotely by using a Bluetooth attachment called the Sidus Link Bridge. This is a new app that will soon be available for both Android or iOS. 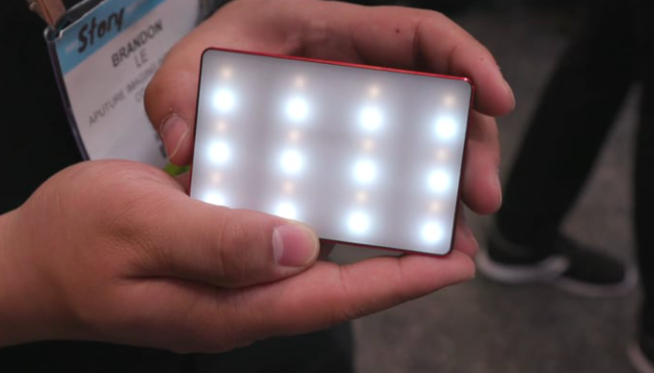 The app will allow you to control color temperature, gel modes, color effects, dimming, and brightness, etc. 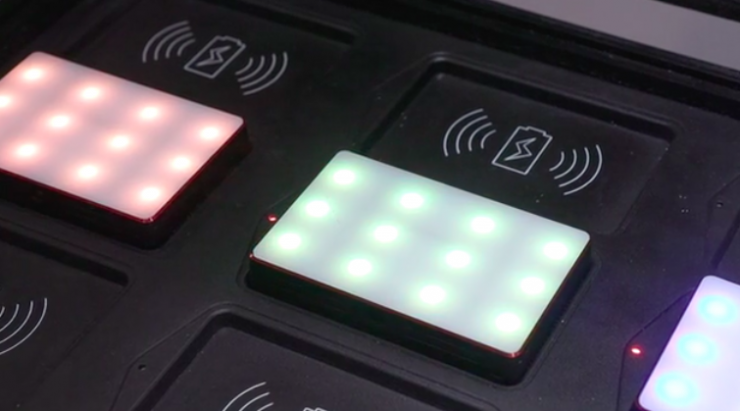 The light is using a new type of Bluetooth technology that allows for up to 65,536 devices to be connected at the same time. This is more of a marketing line than anything else. No one is ever going to connect up 65,536 devices. The new Bluetooth technology has up to 400m (1312ft) of range. What is nice is that the light can be used as part of a network and will pass on changes from the app to other lights that are within 80m of one another. tandem. Aputure is selling the AL-MC as a single unit or as a multi-light kit with a wireless charging case. The price for a single AL-MC unit will be $79 USD. The multi-light kit that comes with a case, will be $1,199 USD. The lights are expected to ship in the northern hemisphere summer.